The caretaker government on Saturday decided to revise down the petroleum prices in light of directions from Supreme Court to reconsider the matter of hike in petroleum prices. The price of petrol has been decreased by Rs 4.26 per litre, that of High Speed Diesel by Rs 6.37 per litre, Kerosene Oil by Rs 3.36 per litre and the price of Light Diesel Oil has been decreased by Rs 5.54 per litre. During the course of hearing held on July 05, 2018, relating to suo motu notice of increase in petroleum prices, Supreme Court directed the federal government to reconsider the matter in order to provide all possible relief to general public. Meanwhile, Minister for Energy Syed Ali Zafar said in a statement that the federal government had decided to reduce petroleum prices in order to provide relief to general public. The federal cabinet, he said, had decided that sales tax rates would be reduced from 17 percent to 12 percent for Motor spirit and Kerosene Oil, from 31 percent to 24 percent on High Speed Diesel and from 17 percent to 9 percent on Light Diesel Oil. Ali Zafar said the caretaker government was fully aware of the problems being faced by the people and was determined to reduce their sufferings despite the present financial constraints. He said the federal government was confident that relief in petroleum prices would not only provide much needed respite to the masses but also reduce the cost of production and give a boost to economic activity. However, he said the government would suffer an estimated loss in revenue of Rs 10 billion as result of reduction in petroleum prices. On June 30, the government, on recommendation of Oil and Gas Regulatory Authority (OGRA) had increased the prices of Petrol by Rs. 7.54 per litre, High Speed Diesel by Rs. 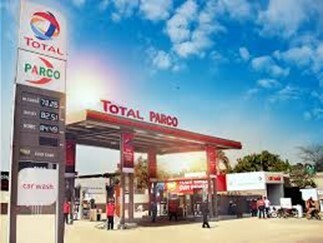 14.00 per litre, Kerosene Oil by Rs 3.36 per litre and Light Diesel Oil Rs. 5.92 per litre.